Buy James Masterton a Coffee. ko-fi.com/chartwatch - Ko-fi ❤️ Where creators get paid by fans, with a 'Buy Me a Coffee' button. Writer and creator of Chart Watch UK, for over a quarter of a century the internet's definitive weekly guide to the comings and goings in the UK charts. 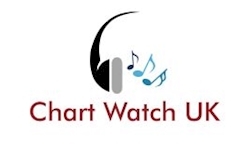 Enjoy Chart Watch every week? Or even just this week? Then why not buy me a coffee to say thankyou. I can't live off it, but I'll at least be awake enough to write more next time. Secured Payments. Support goes to James Masterton's account. Upgrade James Masterton to a yearly Gold Membership with a one-time payment.